Students in Sixth Form have the opportunity to follow one of four pathways. These are outlined in the Curriculum Overview document – please click here to access. Typically, students will follow a three course pathway (A Level, BTEC or a combination of both). Those who have a very high attainment at GCSE and who demonstrate the academic potential and capacity to cope with a more academically demanding curriculum will be able to select four A Level courses and will study all four subjects during Years 12 and 13. 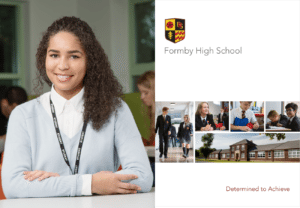 In addition to meeting the minimum entry requirements for the chosen pathway, students must fulfil the entry requirements for each subject they intend to study. Please click here to view the Entry Requirements by Subject. A wide range of A Level and BTEC courses are offered to students, all taught by experienced subject specialists. All courses will last two years in duration with examinations taken at the end of Year 13.